Wave is great for a small consulting shop like mine. I'm sure that there are more sophisticated systems out there but I have a limited number of expenses and invoices each year - for me, Wave meets my needs. They've made significant improvements to their dashboard over the past three years and have not changed the cost (FREE for my instance). The user experience is easily the best I have seen with any invoicing software. They create clean, professional invoice templates. They make setting up and managing projects easy. 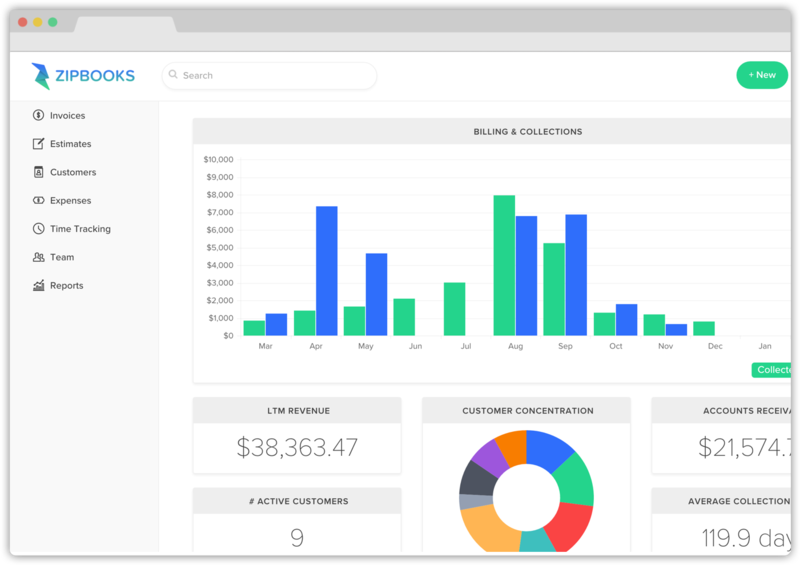 Not too much to complain about with Wave although I do wish they kept an audit trail of all invoice reminders sent, changes in the invoice, and have the ability to pull reports with this data. This functionality would be great to review clients as a whole to determine profitability and time spent with these clients. 9% processing fees for all cards which is a bit higher than some of the competitors like Blue Pay. The pro to this though is there's no monthly commitment or monthly service fees. ZipBooks is a much cleaner, easier to use software. I don't have a ROI for the use of Zipbooks though it has helped greatly with organizing for taxes. Our economy here has been so volatile for three years with deep dips down, that no software can aid in support the financial health other than to track the expenses and income and watch the balance to observe.